I had been looking forward to this performance for weeks. This has been a favourite film of mine since the 90's and it was so exciting to imagine it transferred to the stage, it is such a show-stopper anyway. 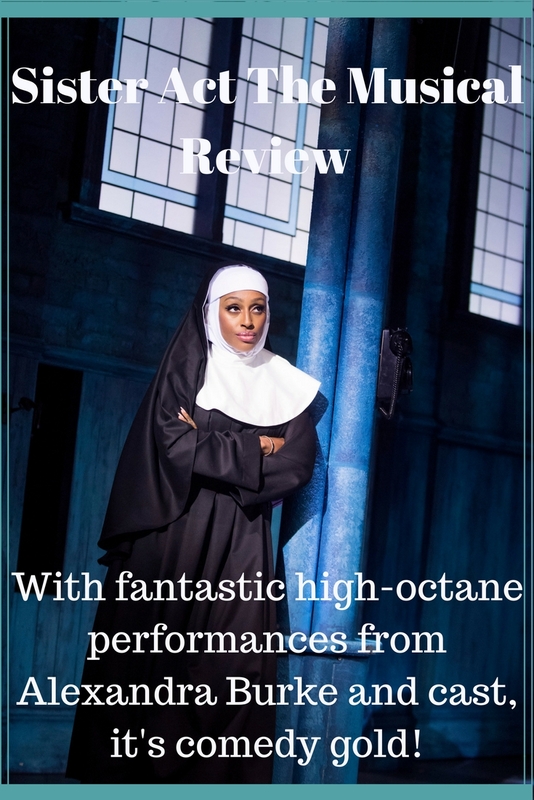 This is our review of Sister Act The Musical, which turned out to be pretty surprising in many ways. It's always interesting to see how a film transforms on the stage and Craig Revel Horwood's direction brought some twists and turns I was not expecting. 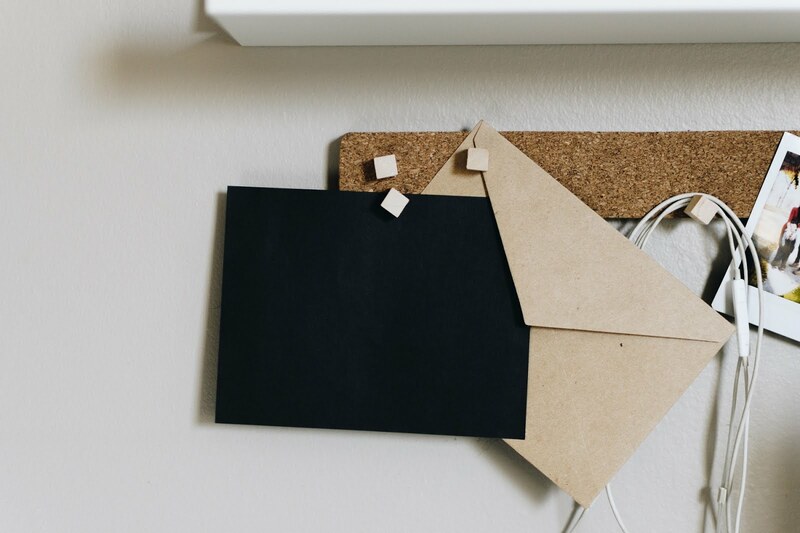 We are lucky enough to get press tickets for shows at the Bristol Hippodrome and you can read our previous reviews of Gangsta Granny and Dirty Dancing by clicking the links, if you would like to. The first thing I noticed about this show is that Alexandra Burke is a natural at physical comedy. I have yet to see the Bodyguard, so had only seen her on the X Factor previously. I knew she could sing, but I was not expecting such a dynamic, animated performance right from the start. She clearly put everything she had into her performance and her boundless sense of fun and energy was highly infectious. I haven't laughed so much at a stage show for a long time, not least because she was also supported by a hilarious cast. Curtis' henchman were so funny, with their crazy dancing and slapstick humour, it was akin to The Three Stooges, and we were almost rolling in the aisles at times. One aspect that really surprised me, was that it was set in the 70's. This was very different to the film, but it gave a lot of scope for comedy and funny outfits. The show had a much more comedic vibe than the film anyway, and the 70's version of Eddie Souther (Joe Vetch) was certainly something to behold, with his long, flowing mullett-y locks. The character of Delores' boyfriend, was very much reinvented and the actor who played him did an amazing job. I preferred the revamped Curtis (Aaron Lee Lambert), as he made it much more family-friendly by reducing the threat element for children. 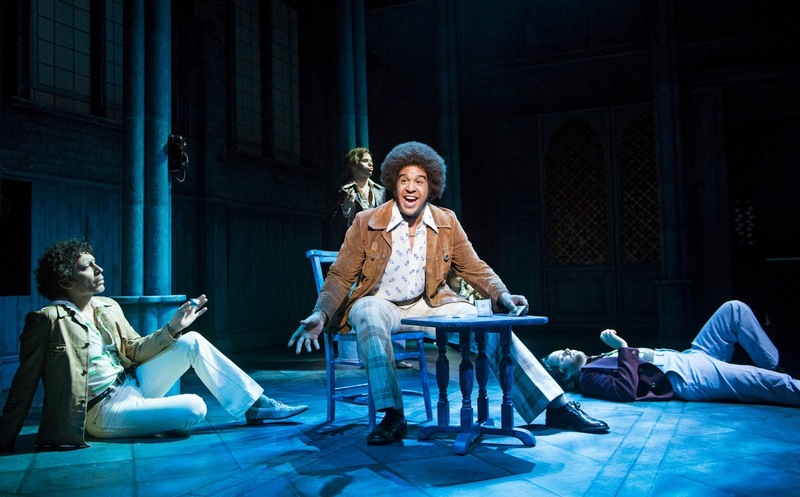 He was also a hilarious cross between Shaft and Huggy Bear, which might go over the heads of a younger audience, but I'm just about old enough to remember these icons of the 70's, with their 'cool' walks and mighty afros. He certainly took every opportunity to extract all the humour from his character and it was a joy to watch. 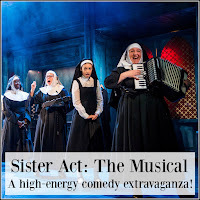 Sister Act has its own original score for the musical, which was really enjoyable and the singing was phenomenal. I did miss the songs I loved from the film, but it was still an amazing experience to view the choir scenes from the position of the church congregation, as they were intended to be. 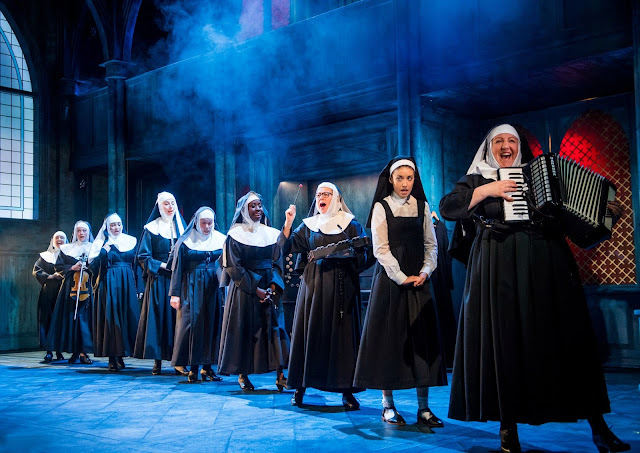 The cast of nuns are a talented bunch, playing a variety of musical instruments throughout the show and bringing a real depth to the many musical performances. I also have to mention Karen Munn, whose performance as Mother Superior was second to, er, 'nun' (sorry!). She was absolutely flawless, not just in her solo singing, but everything, the voice, the mannerisms; she had Mother Superior off to a tee and her repartee with Delores was comedy gold. In conclusion, this show is well worth seeing for many reasons. 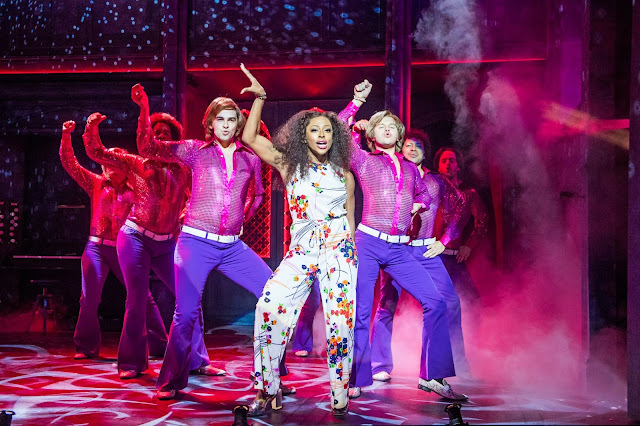 It's not just a musical, with stunning singing performances from an amazingly talented Alexandra Burke and the rest of the cast, it's not just comedy, or a dance show, with fantastic Saturday Night Fever-esque routines, it is all of those things, and more. We were captivated from start to finish and would recommend it to anyone, young or old. 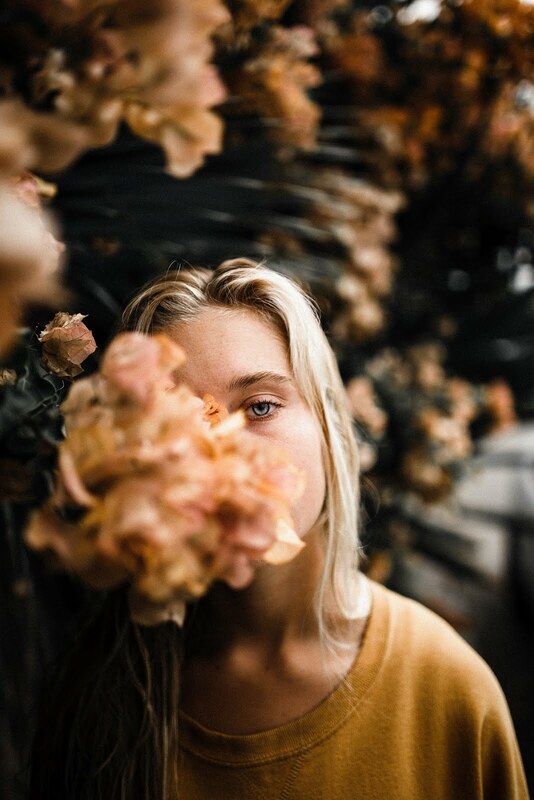 With all of the above to delight an audience, there is bound to be something to appeal to everyone. I hope it comes to near me as it sounds fab. Glad I read your review though as otherwise I might not have got over the fact that it's not like the film, bit now I know I can go into it expecting a different but still as good show!! Aww this is one show that i would love to see, it always sounds great when ive read the reviews and not come across a bad one yet! Oh wow, this looks like such a fab production. 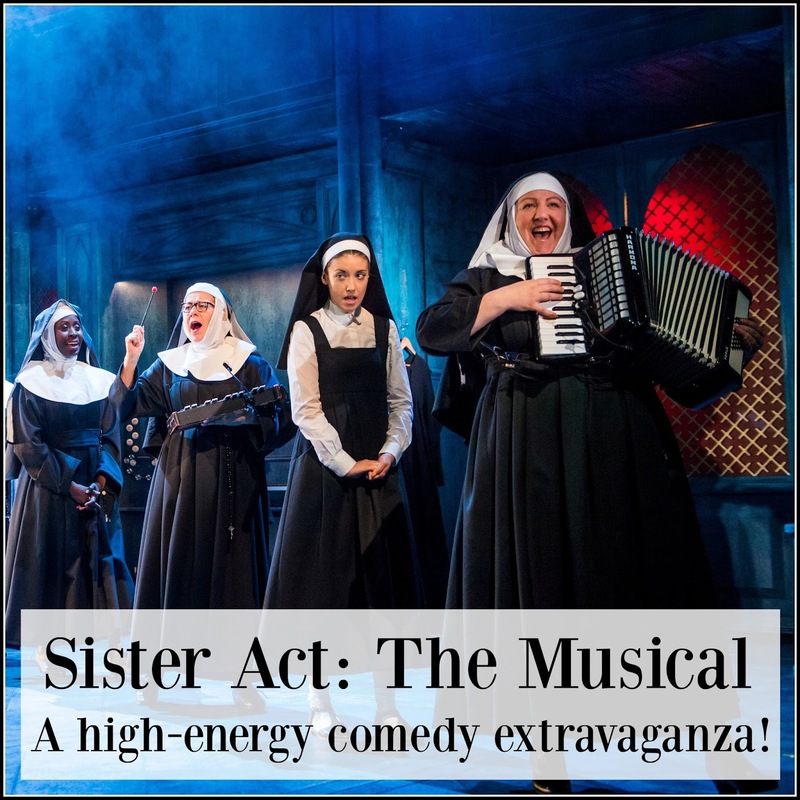 I saw Sister Act several years ago in Cardiff and loved it.. definitely wasn't set in the 70s though! Looks fantastic! I love the Sister Act films - it's the music that makes it, so I would be worried about some of the songs not being included; however your review makes it sound fab! I love that they set it in the 70s too!